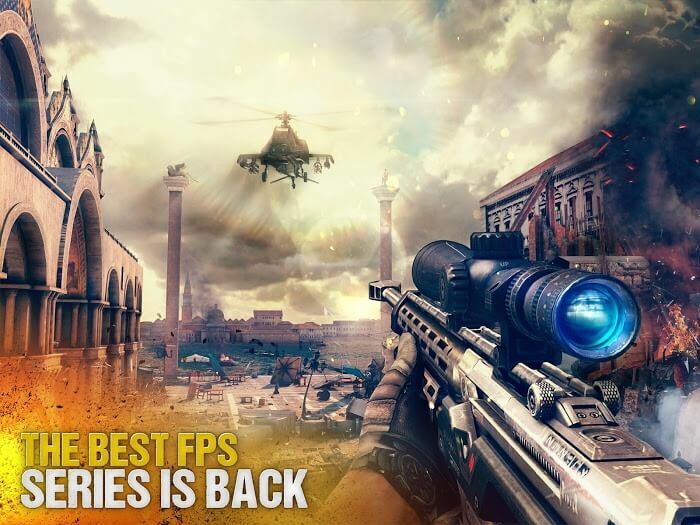 For those who love the title shooter cannot ignore Modern Combat 5. This is one of the famous games of the legendary game company Gameloft. Since its inception, it has created a global fever with a large number of participants, especially the 5-star rating on the Google Play system has also increased. The game is built on many different platforms, so it is extremely convenient for everyone to play. 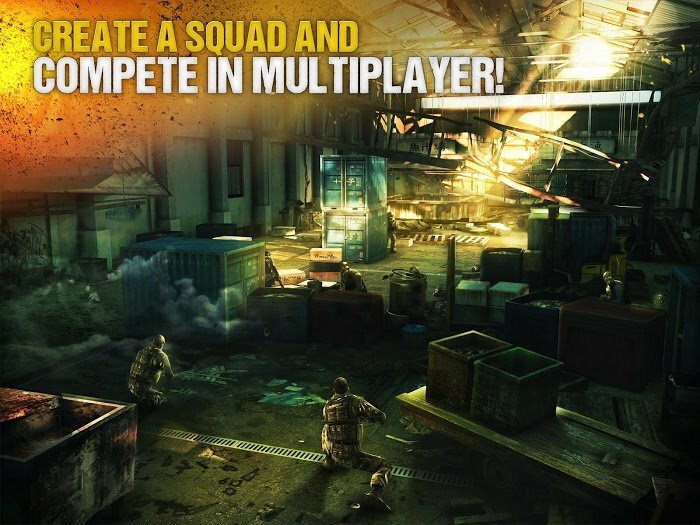 With its eye-catching visual design, unique visuals and sounds, Modern Combat offers gamers an extremely engaging content. There, you’ll take on the role of a hero and get along with others to defeat the terrorists and regain their peace. That’s interesting, is not it? So what game does this have unique features? Come to discover it now! 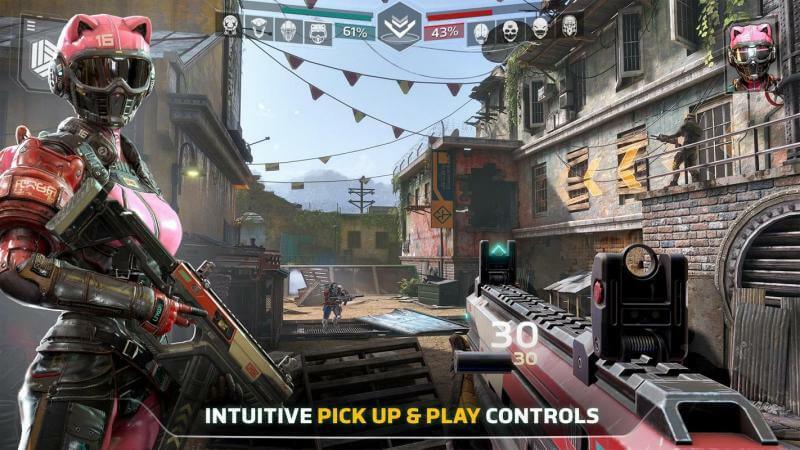 This game brings a lot of content and appeal, in which you’ll be playing a heroic shooter and alongside her heroine Caydan Phoenix. To kill enemies before they attack humans. Your main task will be to engage in an armed struggle to counter the terrorist attacks from the outside. They are transporting weapons of mass destruction day and night to attack the big and famous cities of the world. When you participate in the game, you not only experience the battle, fierce, even choking, you can explore many other mysteries. In particular, the game brings you a very rich weapon arsenal; you can choose your favourite weapon as well as the most modern to kill as many enemies as possible. After each battle, you can upgrade your weapon and especially you will receive many attractive rewards if you overcome the challenge of time in each battle. Although the theme is an incredibly fierce and tough battle, the game has a very eye-catching graphics and makes the player feel most comfortable in the process. Especially the combination of audio and video through voice is one of the creative and exciting points that you can not meet anywhere. Besides, the most intuitive button controls allow you to customize the characters to your liking. These are highlights when referring to the interface and graphics of this title. 3.8.0n is a new upgrade version that contains many improvements. The most notable is the survival mode. New maps have been added, are you ready for a hunt between people? With that, you can also explore that new set of loadout, Deployable Cover, Projectile Interceptor & Artillery Strike. 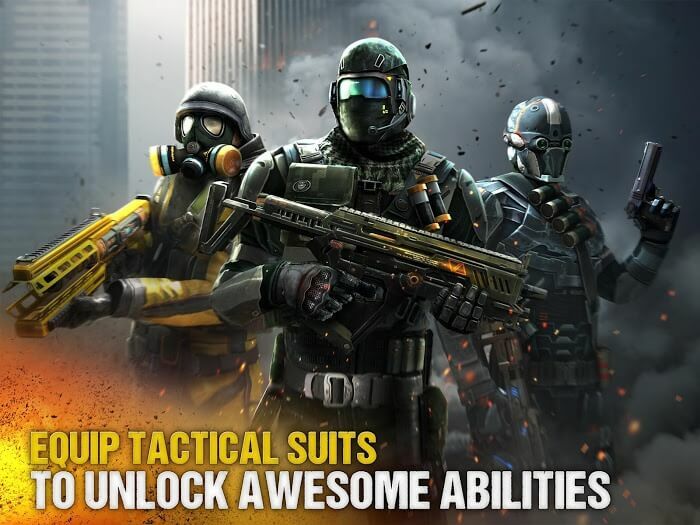 Modern Combat 5 is considered one of the best shooter games, which is also the reason that the number of downloads of this game is constantly increasing. When participating in this game in addition to experience and fighting like a true warrior, the player is also exploring the latest weapons as well as exciting and interesting secrets. Do you think that he alone Phoenix can beat all the great terrorists? Oh no! That is not easy at all. He’s waiting for your help! Quickly join the game to fight with Phoenix and save the world.